Study the finest details in life science. 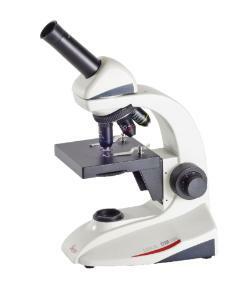 Study microscopic wonders in up-close detail with this three objective achromat monocular standard outfit. It includes LED illumination with continuous intensity control and 45° monocular EZtube with integrated 10x/18 eyepiece. Objectives include 4x, 10x, and 40xr. Accessories information: Power cord sold separately.